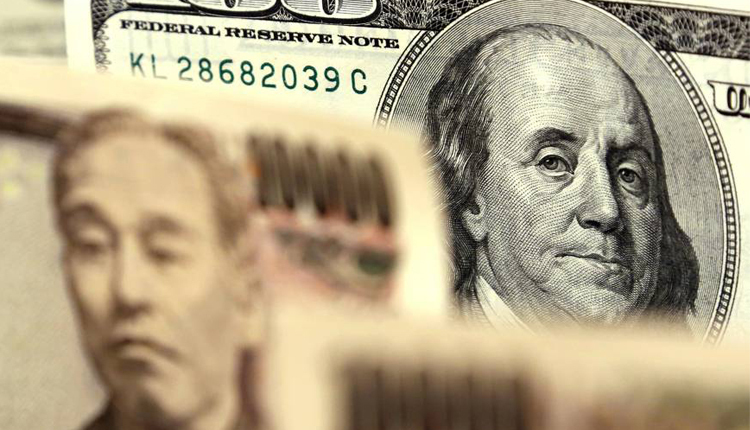 Dollar prices rebounded modestly against yen on Tuesday as Treasury yields pulled back from 15-month lows as investors reassessed the risks of a sharper downturn in the global economy. Global markets recoiled on Monday in the wake of an inversion in the U.S. Treasury yield curve, which has signalled a recession in the past. “The dollar has tracked U.S. yields. But the trend may have run its course, with little further downside seemingly remaining for yields,” said Masafumi Yamamoto, chief forex strategist at Mizuho Securities in Tokyo. “The decline by U.S. equities has also slowed, and this has supported the dollar as it shows that the market’s economic prospects remain reasonably good with the Fed preparing to take a more dovish approach,” he said. The dollar edged up 0.1 percent to 110.065 yen and put some distance from a six-week low of 109.70 plumbed the previous day, when fears of a global economic slowdown depressed U.S. yields and boosted investor demand for the yen, a perceived safe haven. U.S. consumer confidence and housing-related data was due later in the day and could provide near-term cues for the currency market. “The dollar should draw further support if today’s economic indicators are robust, as strong data may be about the only factor to prevent Treasury yields from falling further,” said Junichi Ishikawa, senior FX strategist at IG Securities in Tokyo. The euro was steady at $1.1317. The single currency fell to a 10-day trough of $1.1273 on Monday, also hit by rising concerns about a slowdown in the euro zone economy but made modest gains overnight after a stronger-than-forecast German business confidence survey. Sterling was effectively flat at $1.3197 after spending the previous day confined to a narrow range when British MPs wrested control of the parliamentary agenda from the government for a day in a highly unusual bid to find a way through the Brexit impasse. They will now vote on a range of Brexit options later on Wednesday, giving parliament a chance to indicate whether it can agree on a deal with closer ties to the European Union. The Australian dollar, sensitive to shifts in risk sentiment, was 0.15 percent higher at $0.7123 on the back of a rebound by Asian equities. The 10-year U.S. Treasury yield stood at 2.430 percent after declining to 2.377 percent on Monday, its lowest since December 2017.